Hispanics, a highly diverse population in terms of geographical origin, education level, and language usage, are the fastest-growing ethnic minority in the United States. As a result, their buying power is increasing. US Hispanics over-index in digital media usage, yet are largely underserved and ineffectively targeted. Utilizing both secondary data and interviews with Hispanic advertising/marketing industry experts, in this paper, we present an application of a strategic marketing process that takes into account the multiplicity of cultural factors that impact the success of a targeted marketing campaign. Upon completion of interviews with industry professionals in multicultural advertising campaigns, we elaborate on the strategic marketing process by incorporating segmentation bases specific to subcultures and suggesting specific tactical tools to position offerings toward these populations effectively. We propose that successful campaigns with a multicultural focus would take into account several determinants of cultural segmentation to choose the appropriate micro-targets for the message and position products specifically toward these sub-segments. While the focus of this paper is the Hispanic population to illustrate these determinants and tactics due to the impactful growth of this market on the US economy, and the cultural variety within this ethnic group, the tactical implementation of transcreation is applicable to any subculture in today’s digital media environment. The contributions of this paper are twofold. Theoretically we itemize the relevant, and often overlooked, segmentation considerations for ethnic minorities in a targeted marketing strategy. 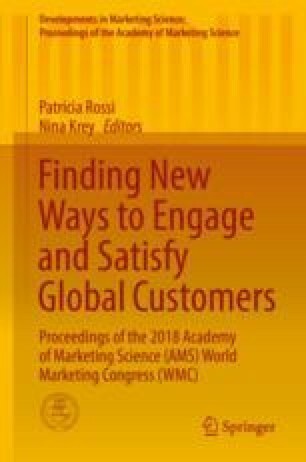 While separate streams of literature in consumer behavior and advertising strategy study these elements, their place in the larger strategic plan is not examined with an interrelated approach. Here we bring them together and put them into context to create a cohesive theoretical basis for practice. Second, we provide concrete recommendations for marketing managers, advertising professionals, and practitioners at the tactical level. Through our interviews with practitioners in this area, we have come to understand what is lacking is customer insight (caused by the monolithic view) and attention to how marketing messages are delivered (through transliteration). Therefore, we illustrate how a varied view instead of monolithic and attentive positioning through transcreation with authentic messages enabled by the contextualization capabilities of digital and mobile platforms leads to better communication of offerings.